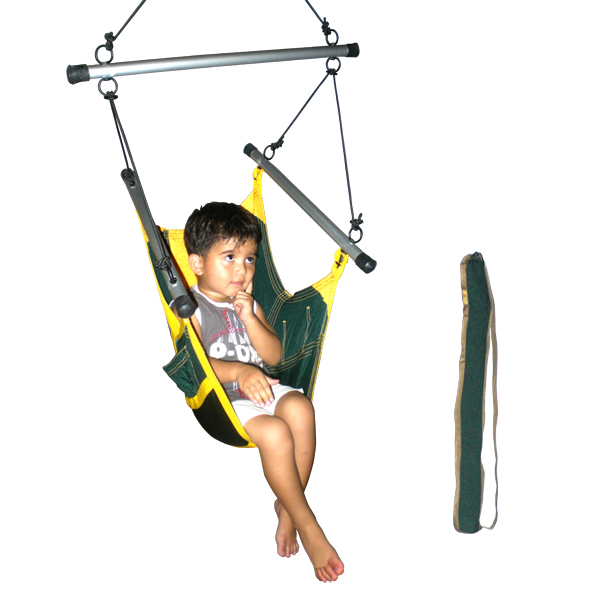 Our kids hanging chairs, made with the finest quality of breathable parachute silk and aluminum tubing structure, are very comfortable, elegant and robust. It only requires one attachment node at the top. Whether inside or outside, it can be folded in itss own bag for easy storage or transportation. It can be installed anywhere, from the bedroom to the living room; made for kids. For product catalogues, prices, custom orders, please send us a message. Please download our order form.